Fields of Grace finds Fervent Records' band Big Daddy Weave exploring new territory as first-time producers, while offering their fans a glimpse of the energy found in a live show. With a solid debut "signaling the arrival of a major new talent" (Billboard), One And Only hit the Christian Soundscan Charts at no. 5, making it the highest debut for a new artist in 2002. Their first single, "In Christ", quickly proved it's connection with listeners by becoming the highest charting AC single for a new artist that year as well. Combined with other top radio hits and extensive touring throughout 2003 with Rebecca St. James. 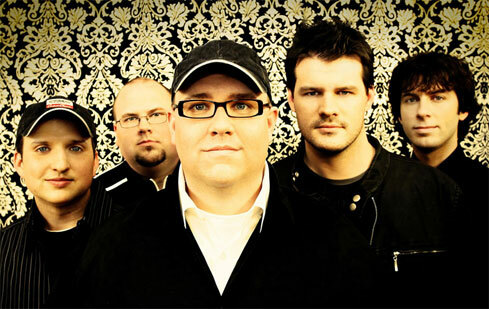 Big Daddy Weave quickly established themselves as one of Christian music's favorite new artists of the year, helping them to garner the esteemed New Artist of the Year Dove nomination. It is through these experiences, and many others, that the band has refined their sound, their performance and their calling. 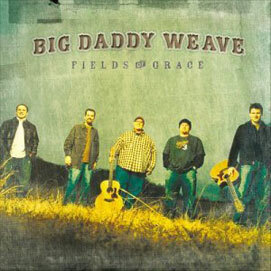 Produced by Jeremy Redmon (guitarist) and Mike Weaver (lead vocalist, guitarist, and primary songwriter) of the band, Big Daddy Weave's sophomore release Fields of Grace is "a little closer to capturing what you would hear when we play live. It's a little edgier maybe, but we like it a whole lot," states Mike Weaver. "I think lyrically we have stayed true to where we've always come from. When we write songs, the lyrics are all about our own personal journeys with God. When you listen to the lyrics, it's like you're peeking into our lives. You will see the things that we're excited about and the ways that God has blessed us. At the same time, you will also see the things that we struggle with and at points, can't really do anything with but just cry out to God." It is evident when listening to the album that something special occurred when recording it. Jeremy Redmon and Mike Weaver were able to produce a record that truly reflects the spirit and essence of the band. Mike Weaver states, "It was an awesome process, fun and scary all at the same time. It was really cool to have that kind of say creatively, but at the same time it was a really big responsibility. We are very thankful and honored that Fervent would trust us with an opportunity like this." Due to their busy schedule and life on the road, the band wasn't able to take a block of time off to record, so they recorded everywhere from hotel rooms, to conference centers, to studios in Nashville, TN and Mobile, AL. The energy of the band's live recording comes through in songs like "Set Me Free," the opening cut, which starts off in high gear with the first note and gets to the chorus in 39 seconds. The concept of the song had its beginning several years ago when Mike Weaver was using it as a testimony for what happens when a person is saved. Then over a couple years, he realized that God continually sets us free of troubles we face in our lives. To add a different flavor, the third song on the record, "New Every Morning," features a baritone saxophone, which according to Mike Weaver "battles with the acoustic guitar to paint a picture of us dealing with the things that try to drag us away from God. Then the electric guitar comes in screaming, to demonstrate the mercy that we find in the Lord every morning." "The song I probably feel most connected to on the record is, "Why?" says bassist and vocalist Jay Weaver. "I ask myself the chorus lyric of that song so often in my life. Why do I do the things that don't please God when in my heart I want to do what is right. Just knowing that we all struggle with things in this life and that ultimately it has to be a God thing and not an us thing." All songs are penned by Mike Weaver with the exception of "Fields of Grace," which is a Darrell Evans song. After seeing the overwhelming response to their live performance of this song, the bandmembers decided to include it on their sophomore album. "All of the songs on this record connect in that they're about seeing God while we're just dealing with everyday life and how we respond to Him after seeing Him. There's a song on the record called "You In Me." I can remember several instances over the past year where I was just overwhelmed by the stress of everything that needed to be accomplished. "Every time I felt like I was at my breaking point, I would hear the Lord reminding me that the things I was getting so freaked out over were just temporary, but the things that He brings are eternal. Just seeing things from that angle totally gave me the peace that I needed so badly right then," says Mike Weaver. In describing what God has done in the lives of bandmembers since their debut album was released last year, saxophone and keyboard player Joe Shirk says "God has continued to shape and refine our vision as a band to serve God and point others to Him." Jay Weaver adds, "If someone comes to a Big Daddy Weave concert and is entertained for an evening, that's great for the moment. However, if they're able to see God and take that home with them, they're changed forever. That's what our goal is more than anything." Since the release of Big Daddy Weave's first album, One and Only, the band has been touring non-stop, including the Rebecca St. James Spring 2003 Tour where they were able to learn the makings of a national tour. As drummer Jeff Jones has said about their experiences on the road, "I feel that we have really defined what our purpose is as musicians/artists/worshipers, and we loved working with Rebecca St. James. She is so humble and real." With the release of their new CD, Fields of Grace, this fall, Big Daddy Weave will ramp up the sale of their new album through a national, 40-city tour with FFH. Both bands have enjoyed a strong relationship for quite some time now since Jeromy Deibler (FFH) produced One And Only. "Jeromy Deibler is a man of integrity. FFH absolutely rules the room from the stage, and Jeromy possibly gives the most clear gospel presentation I've ever heard. He is a great mentor to all of us in the band, and we're looking forward to touring with them," says Mike Weaver. Jay Weaver adds, "Overall, I hope that people would walk away knowing that when we give God everything, He offers us everything He has in exchange." Nicknames: Jerm, Red, and Tater. Family: My wife, Anna, (she's so incredible) and Charley (our Golden Retriever) and of course my Mom, Dad, brothers, sisters-in-law, and nieces. Hobbies: I'm doing my hobby full-time...I need a new hobby! When did you get involved with music? I grew up in a musical family. Most of my childhood through the 6th grade was spent on the road with my family (singing at churches). Bands: Recent, Switchfoot, David Crowder Band, and John Mayer. When did you get involved with music? As a youth in church and in local bands. 2002 Dove Award Nomination, "New Artist of the Year"